Home»Archive by Category "Press Releases"
Events and programs that bring tourism to San Diego are encouraged to apply. SAN DIEGO – September 25, 2018 – The San Diego Tourism Marketing District (SDTMD) will begin accepting applications for funding for Fiscal Year 2020 on Oct. 9. Organizers of major athletic, cultural and other high-profile tourism initiatives in the City of San Diego are encouraged to apply. The online application is available through the SDTMD website at www.sdtmd.org/applications. Applications must be submitted to SDTMD by 5 p.m. on Nov. 16. Additionally, SDTMD is hosting two applicant workshops on Oct. 9 and Oct. 18. Workshops will provide an overview of the application process and insight on criteria used to select events for funding. Both workshops will be held in the Coronado conference room at the SDTMD office at 750 B Street, San Diego. The Oct. 9 workshop will be held from 10 a.m. to noon; the Oct. 18 workshop from 1 to 3 p.m. Registration is not required, but encouraged by emailing Executive Director Colleen Anderson at canderson@sdtmd.org. More details can be found on the SDTMD website. The SDTMD Board of Directors reviews each application submitted and awards funding to the marketing and sales programs likely to generate the most room night sales at assessed properties and the maximum return on investment (ROI) on TMD dollars. Over the past five years, ROI from its grants has averaged roughly 26:1 while also generating $933 million in City revenue from Transient Occupancy Tax (TOT) during the same period. A sample of past programs funded by SDTMD include California State Games, Navy vs. Notre Dame Game, Red Bull Air Races, San Diego Bowl Games, San Diego Bayfair Thunderboats, San Diego Bay Wine and Food Festival and Surf Challenge. The San Diego Tourism Marketing District (SDTMD) is a nonprofit, mutual-benefit corporation dedicated to improving lodging room night consumption in the City of San Diego. SDTMD’s assessment of all City hotels with 70 rooms or more provides a funding vehicle to stimulate City of San Diego lodging room demand through tourism promotion, marketing and advertising programs. The judicious allocation of these resources creates a positive economic, fiscal and employment impact on lodging businesses in the City of San Diego. For more information, please visit: www.sdtmd.org. 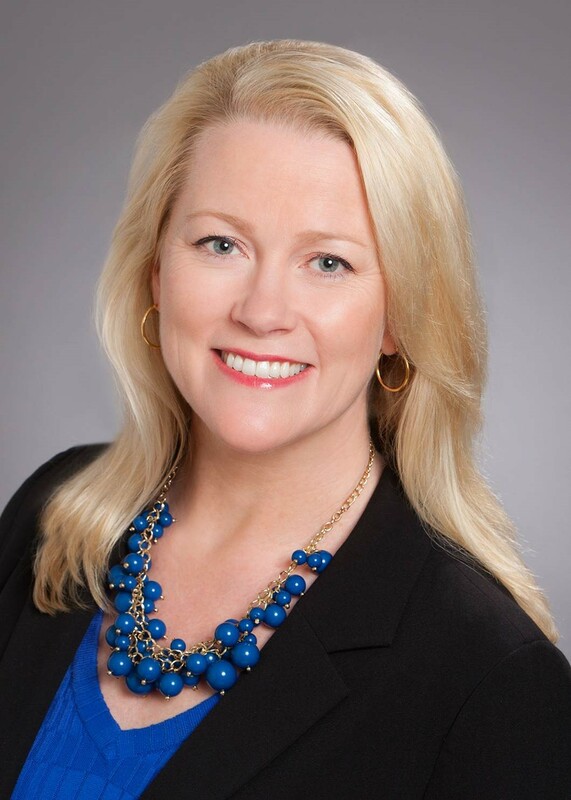 SAN DIEGO – August 30, 2018 – The San Diego Tourism Marketing District (SDTMD) Corporation has selected hotel industry veteran Colleen Anderson to serve as the organization’s new executive director. Anderson is a hospitality industry veteran with nearly three decades of experience, many of those spent in San Diego. She has worked for Omni Hotels & Resorts for the last 15 years, most recently as general manager for the Omni San Diego. During her tenure at Omni San Diego, she also served as a board member for SDTMD and the San Diego Hotel-Motel Association. Anderson steps into her role at an exciting time for SDTMD and the tourism industry. A year into the activation of the Experience San Diego, Destination 2040 master plan, SDTMD remains committed to the goal of growing Transit Occupancy Tax (TOT) revenue by 42 percent over the next five yearscompared to the most recent five years. With more than 1,500 new hotel rooms expected in San Diego by 2020 and increased competition from other destinations, strong stewardship of SDTMD dollars will be critical to supporting the growth of TOT revenue, the third largest source of revenue for the City of San Diego and the fastest growing. Over the past three years, TOT has increased nine percent annually and San Diego has enjoyed record occupancy levels, ending 2017 at 77.6 percent and 80.6 percent in the first half of 2018. Anderson’s first order of business as executive director will be to oversee the funding grant application process for FY 2020, which begins in October. In FY 2019, TMD awarded a record $43 million in funding awards, which included $36 million for the San Diego Tourism Authority (SDTA), over $1.5 million for 16 eventsthat are intended to generate hotel stays at SDTMD assessed hotels and $5 million to support marketing programs specifically targeting the pillars outlined in Experience San Diego. The San Diego Tourism Marketing District (TMD) is a nonprofit, mutual-benefit corporation dedicated to improving lodging room night consumption in the City of San Diego. San Diego TMD’s assessment of all City hotels with 70 rooms or more provides a funding vehicle to stimulate City of San Diego lodging room demand through tourism promotion, marketing and advertising programs. The judicious allocation of these resources creates a positive economic, fiscal and employment impact on lodging businesses in the City of San Diego. For more information, please visit: www.sdtmd.org. SAN DIEGO – April 17, 2018 – The San Diego Tourism Marketing District (SDTMD) awarded nearly $1.5 million at its March board meeting to 12 city events that will help accelerate San Diego’s tourism economy in Fiscal Year 2019. Grants were awarded based on applicants’ ability to generate incremental room night stays, particularly in the off season, at SDTMD assessed hotels in the City of San Diego and provide a measureable return on investment (ROI) on TMD dollars.These funding awards were in addition to more than $36 million approved for San Diego Tourism Authority (SDTA) for its FY 2019 tourism sales & marketing programs. The TMD board also approved an incremental allocation of $5 million to SDTA from the city’s TMD litigation fund to expand marketing programs that directly support pillars outlined in the Experience San Diegodestination master plan. The FY 2019 SDTMD budget, including the funding awards, are subject to City Council approval, which is expected in May. “SDTMD was pleased to have a strong field of applicants this year, which included several events seeking funding for the first time,” said Scott Hermes, board chairman. New events approved for SDTMD funding in FY 2019 include the Navy vs. Notre Dame Game, San Diego Gaelic Games, San Diego Winter Crew Classic, Elite Clubs National League (ECNL) Girls Playoffs and San Diego Bay Wine and Food Festival. It will be the first time San Diego hosts the Navy vs. Notre Dame game, a popular football rivalry that expects to draw 10,000 room nights and will be nationally televised on CBS. The Winter Crew Classic is another first-time event in San Diego and caps off the rowing season with a regatta and convention. SDTMD funding will support the expansion of the San Diego Gaelic Games, which is in its fourth year and draws a majority of competitors from outside San Diego, as well as ECNL, a girls soccer tournament that influences over 11,000 room nights. San Diego Bay Wine and Food Festival, which has not been a recipient of TMD dollars since 2013, plans to expand its reach and influence in out-of-town feeder markets. Funding also has been earmarked for San Diego Bayfair Thunderboats, which is adding a national barbecue competition to the event, and California State Games, a multi-event sports competition that will be marketing to athletes in Arizona and Nevada for the first time. Other funded events include San Diego Surf Cup Thanksgiving Challenge, Holiday Bowl, United States Police and Fire Championships, Man City Americas Cup Soccer Tournament and the San Diego Spring Crew Classic. Each Fall, SDTMD accepts applications from organizations seeking funding for events and programs that support tourism in the City of San Diego. The SDTMD Board of Directors reviews each application submitted and awards funding to the marketing and sales programs likely to generate the most incremental room night sales at assessed properties. New to the application process this year was an ROI forecast analysis of all applicants to assist the Board in its decision-making. For more information, visit www.sdtmd.org.